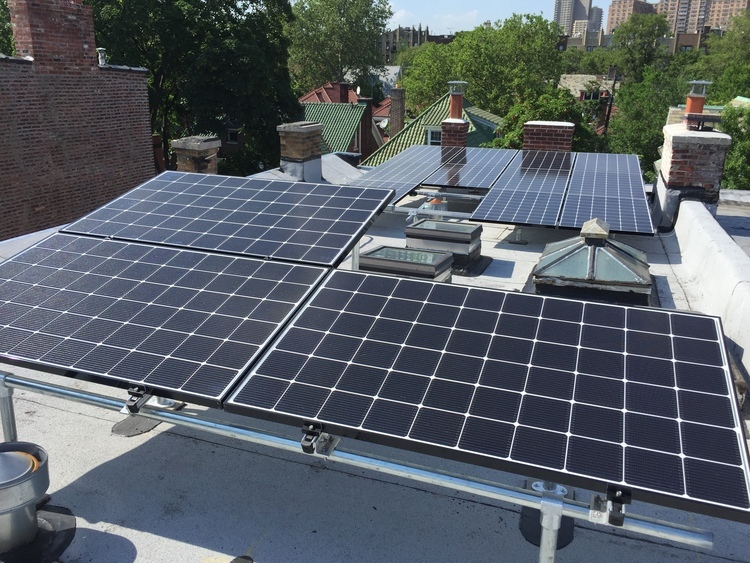 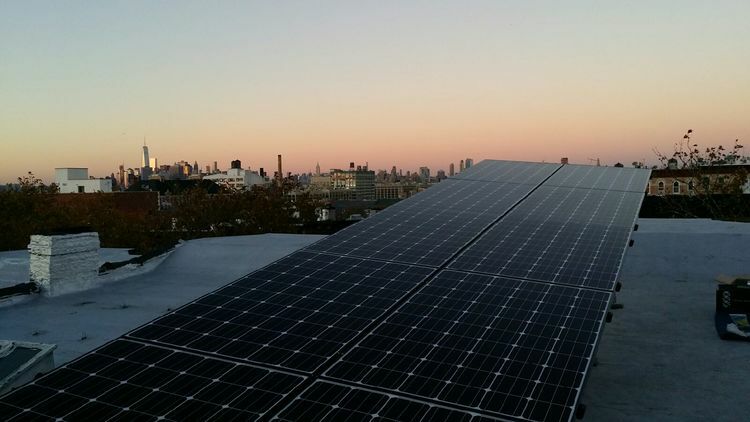 We are craft solar installers here at Brooklyn SolarWorks, capable of putting solar panels on almost anything. 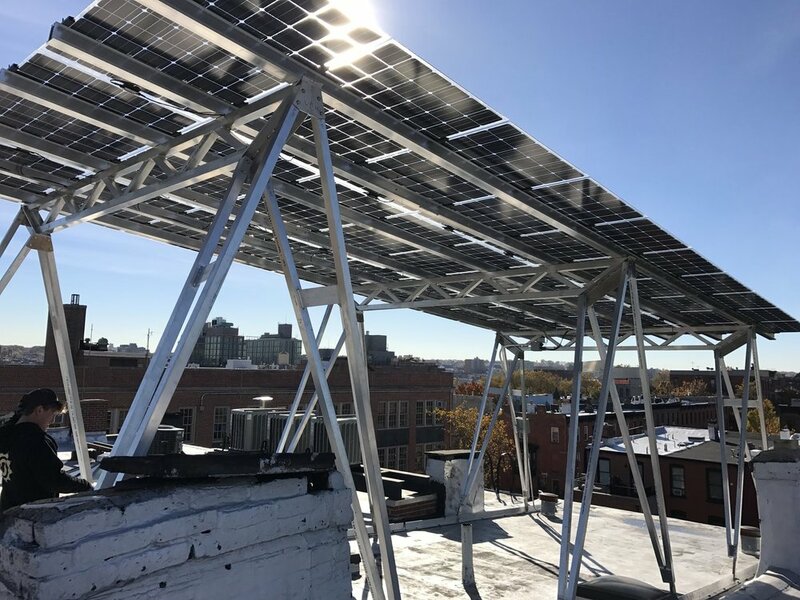 Whether you have ample roof space free of obstacles or your roof is littered with vent pipes, skylights and hatches, we will likely be able to figure out a solar solution. 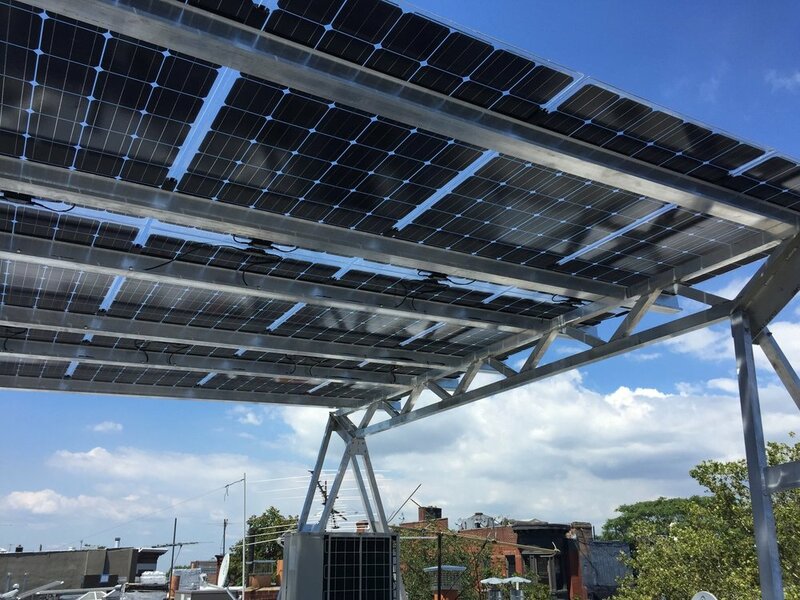 Below are photos of our solar canopy and tilt rack systems. 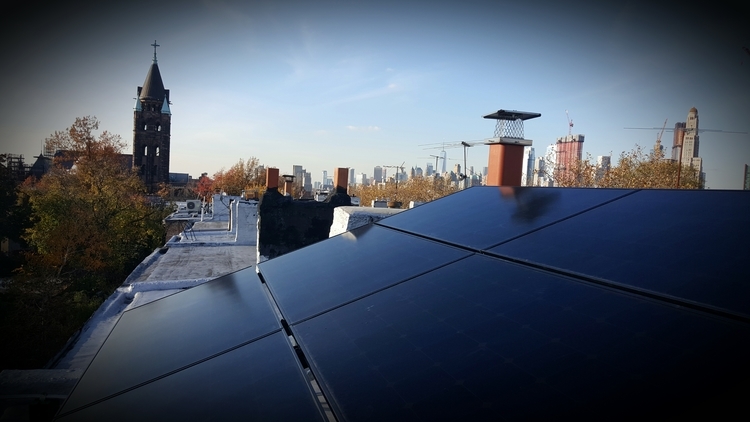 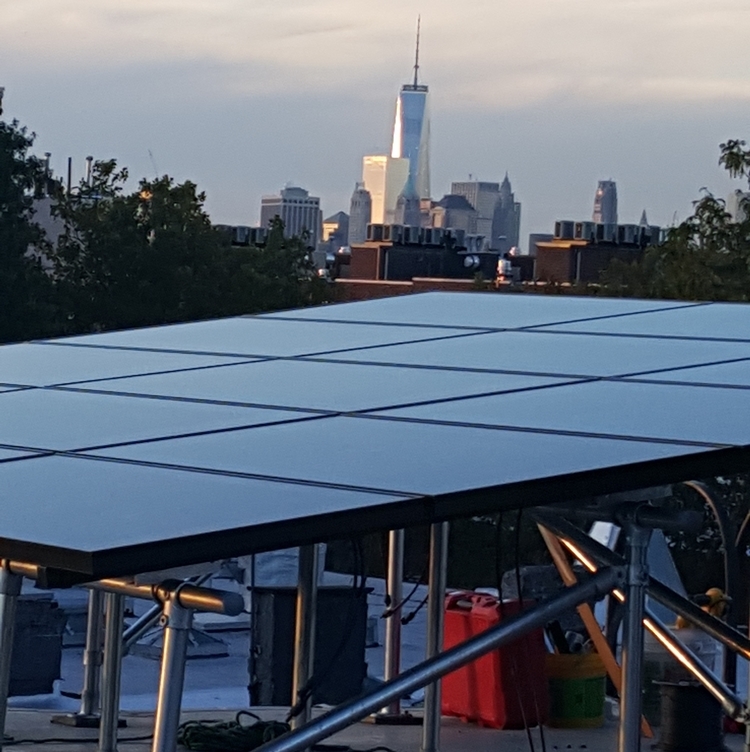 Our unique canopy structure allows us to put panels on roofs that other solar installers would not be able to by rising the panels 9 feet above the roof surface and thus getting around many of the restrictive NYC fire codes. 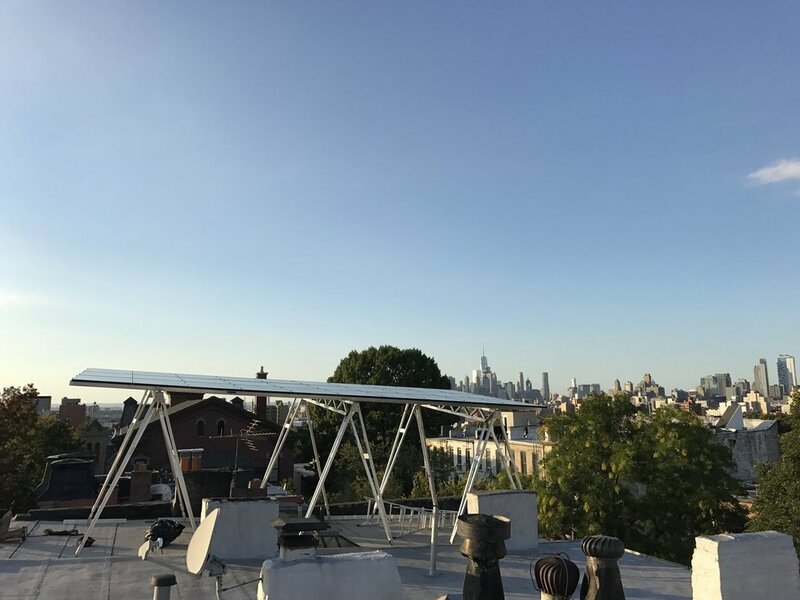 If your roof is open and a canopy is unnecessary, we will suggest a tilt rack system, built slightly off the roof surface. 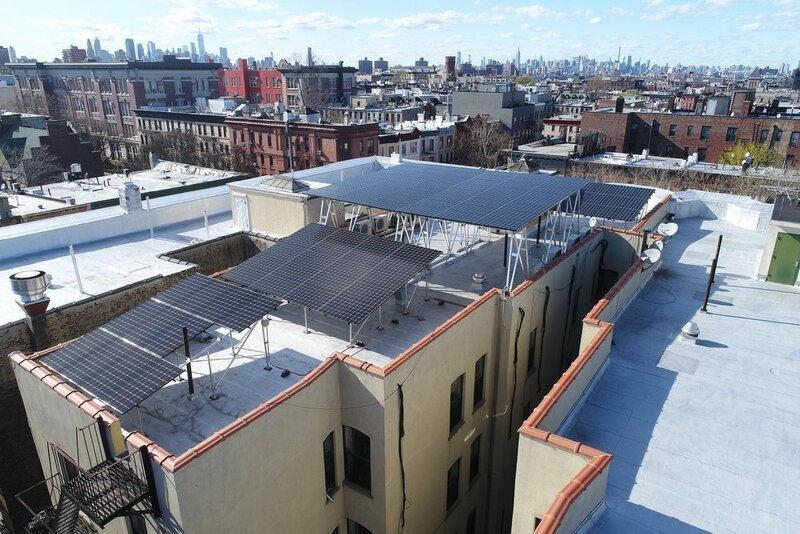 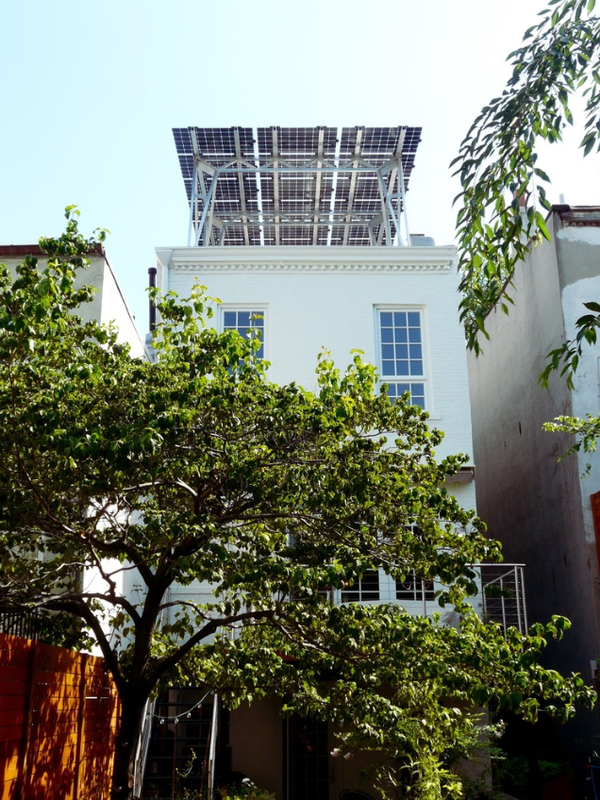 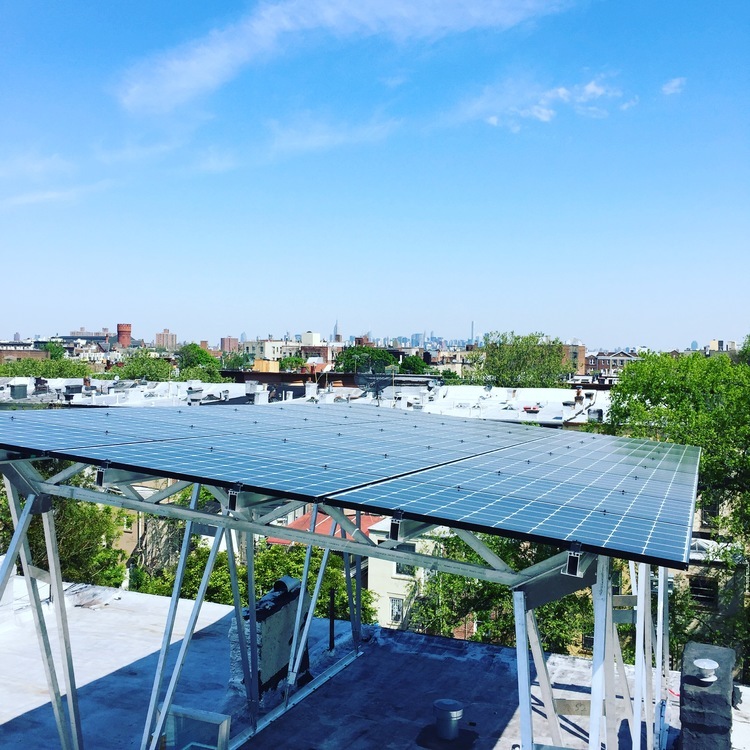 Brooklyn SolarWorks presents: The Solar Canopy! 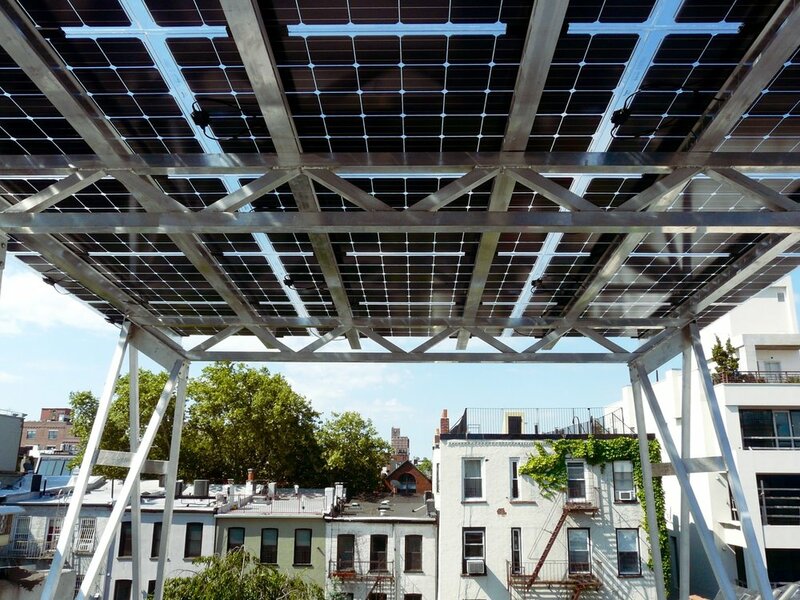 This fully immersive 3D model can be rotated, and zoomed to examine the details of our canopy. 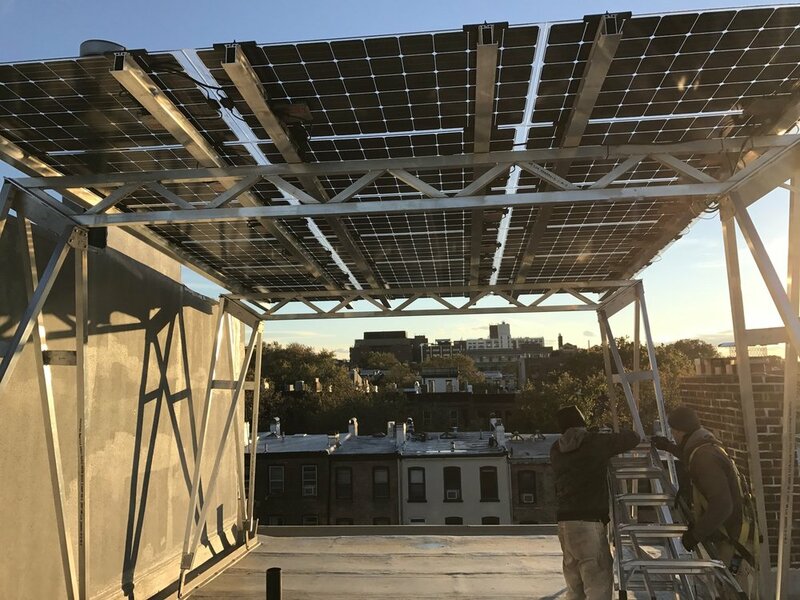 If you have access to a pair of virtual reality goggles you can use the VR feature of the model to stand on the roof under the canopy. 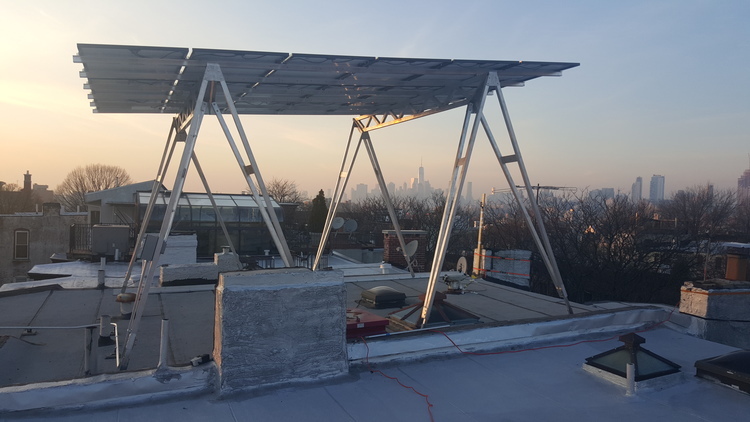 If you don't feel like rotating the model, feel free to click through some screenshots of the canopy in the slideshow below!